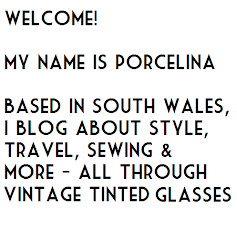 Porcelina's World: The American Museum in Britain: Hatched, Matched, Dispatched & Patched! The American Museum in Britain: Hatched, Matched, Dispatched & Patched! 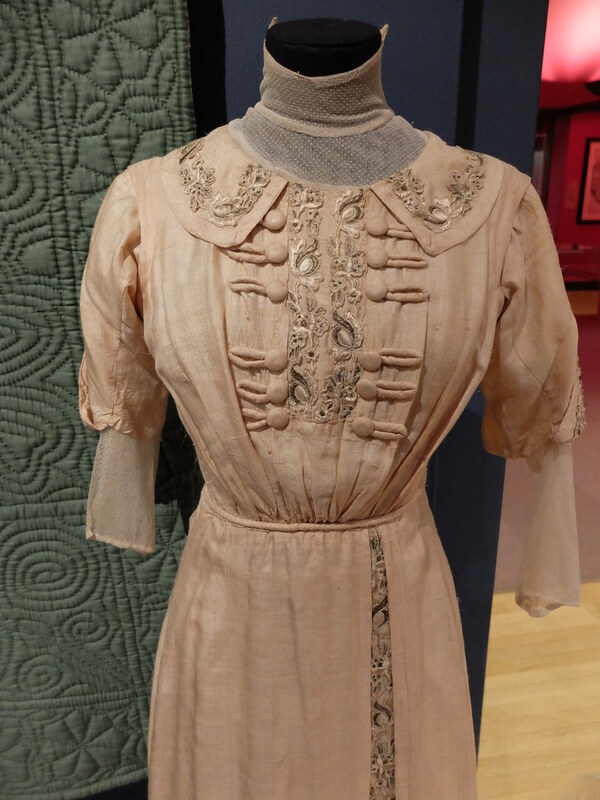 The American Museum in Britain, near Bath, has launched a new vintage textiles exhibition, 'Hatched, Matched, Dispatched & Patched'. The museum has previously showcased exhibits such as 'Marilyn - Hollywood Icon', but despite being within easy driving distance of South Wales, I'd never made the trip. 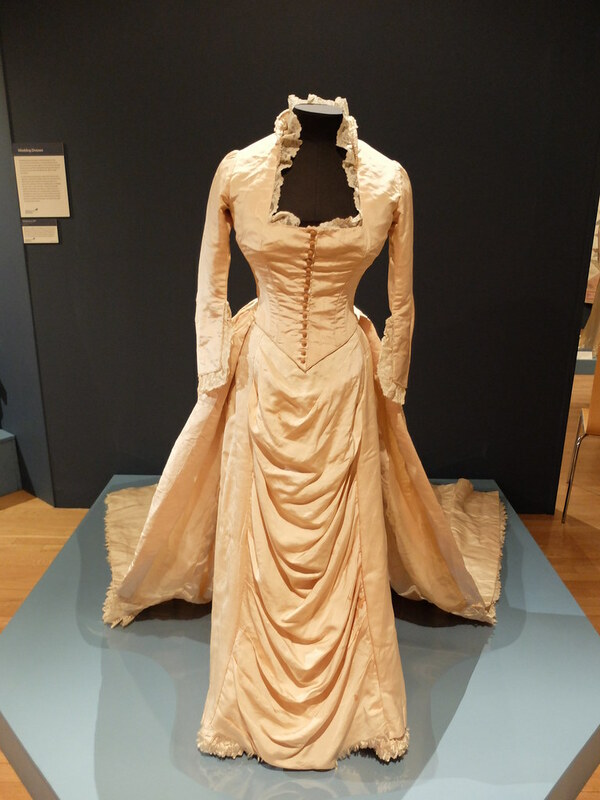 I was thrilled then to get an invitation to attend the press day for the new exhibition, 'Hatched, Matched, Dispatched & Patched' which takes the visitor through the textiles that accompany our lifespans, from christening gowns, and bridal wear to mourning robes. The fourth component is the patchwork quilting so popular in American culture. 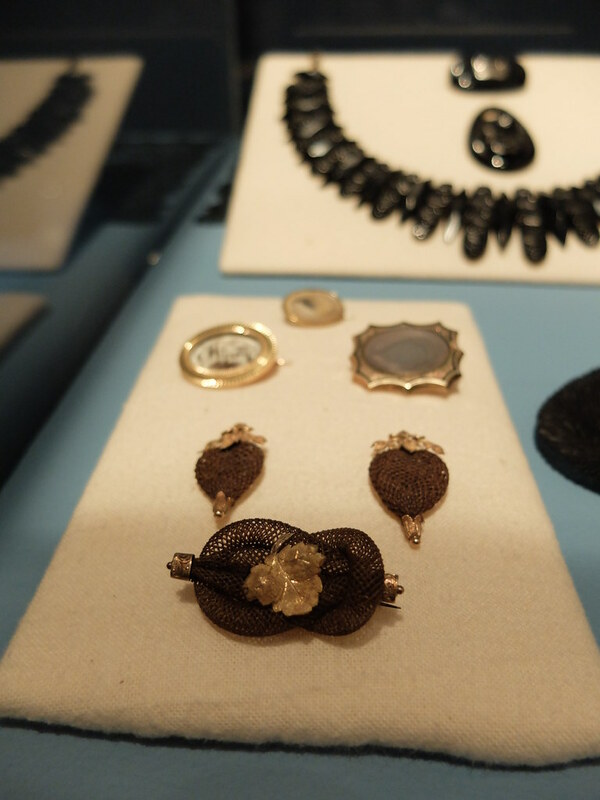 Mourning jewellery made of human hair! 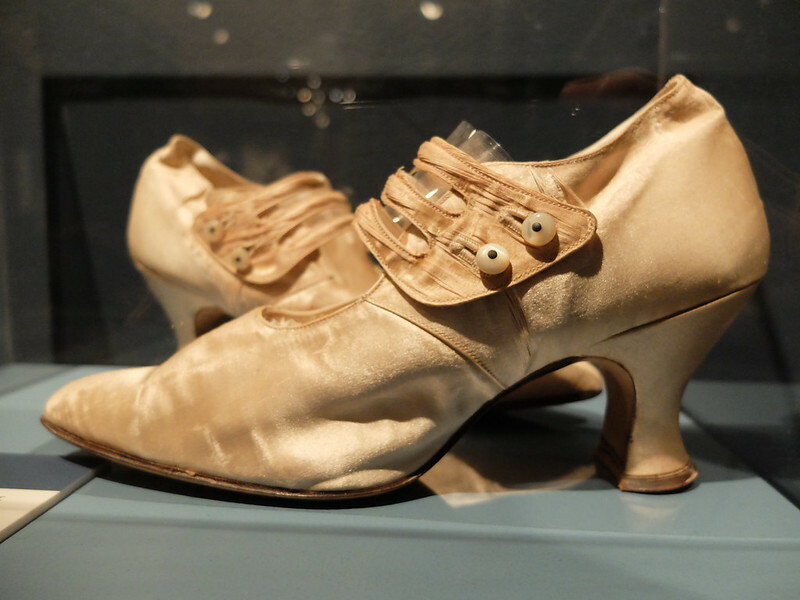 My highlights of the new exhibition included a stunning daffodil dress that an unlucky bride-to-be never got to wear, and some gorgeous 1920s bridal shoes. 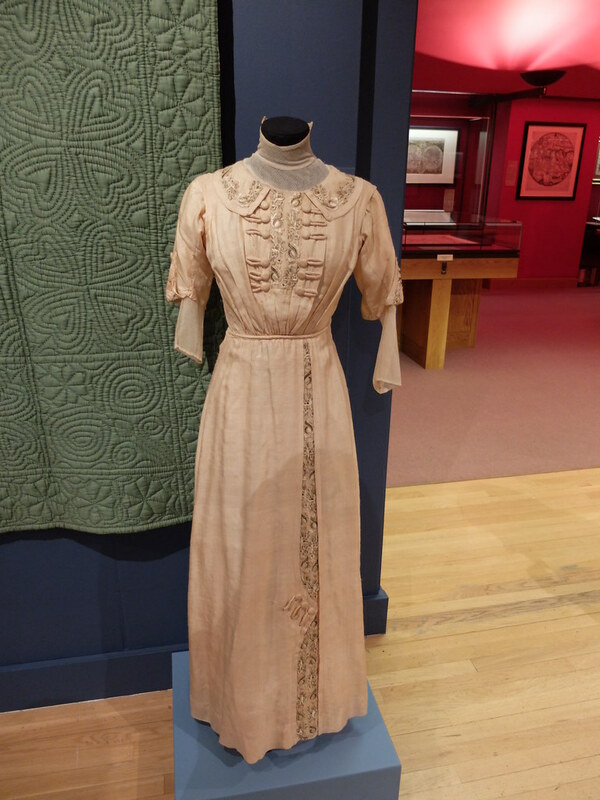 I was puzzled by a 1912 dress that had what seemed to me to be a lot of Art Nouveau details like floral embroidery around the neckline, along with a button detail on the skirt that was quite Art Deco. Curator of the exhibition Kate was very helpful as I queried the label of 'Art Deco' and I think between us we decided it was a bit of Deco and Nouveau in one! What do you think? 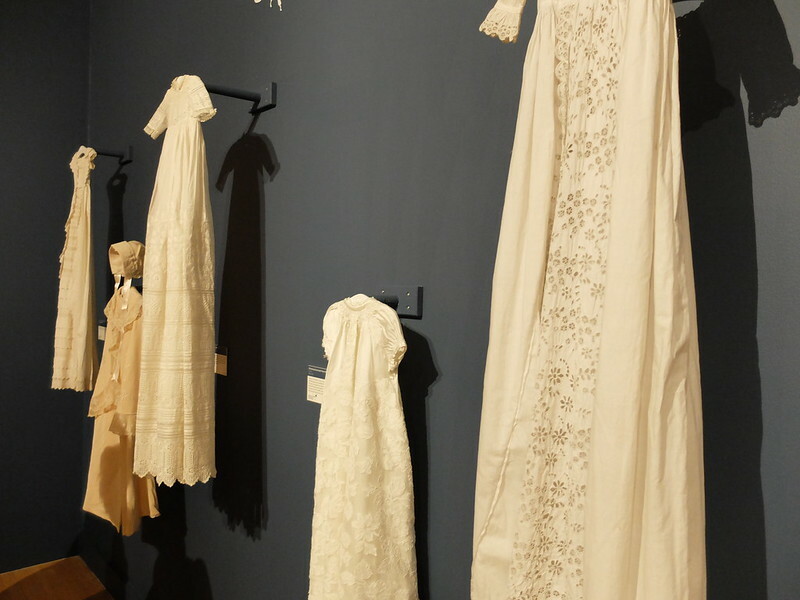 'Hatched, Matched, Dispatched - & Patched' is a charming exhibition that will interest lovers of vintage fashion, sewing enthusiasts and American history affeciandos alike. 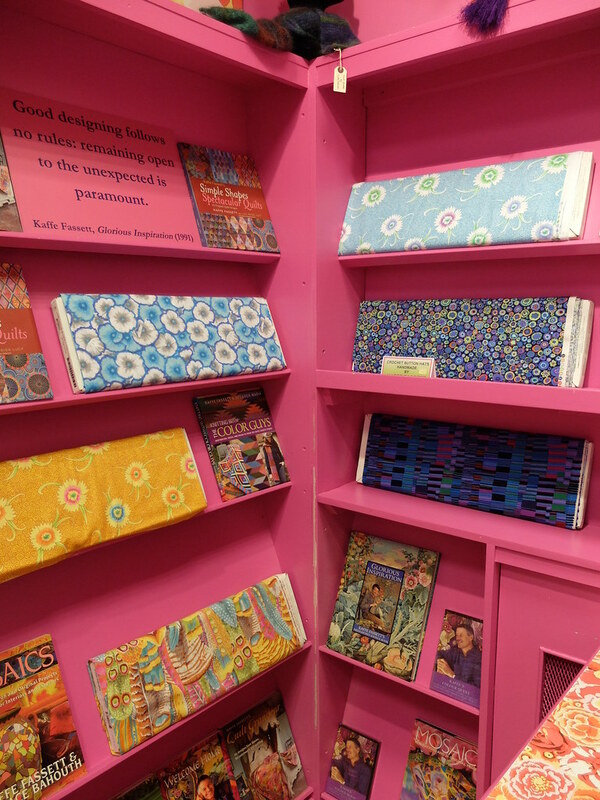 The exhibition gift shop sells some lovely items for the home, books, fabric and more. I'll have to remember it as a good place to look for presents! As for the rest of the museum, it's the kind of place that to do it justice you can easily pass the day there. Set in 125 acres of some truly outstanding countryside, the museum is housed in a Georgian mansion and outbuildings, which in addition to the new exhibition include some permanent displays charting American history, from Native peoples and the colonials, to the early twentieth century. 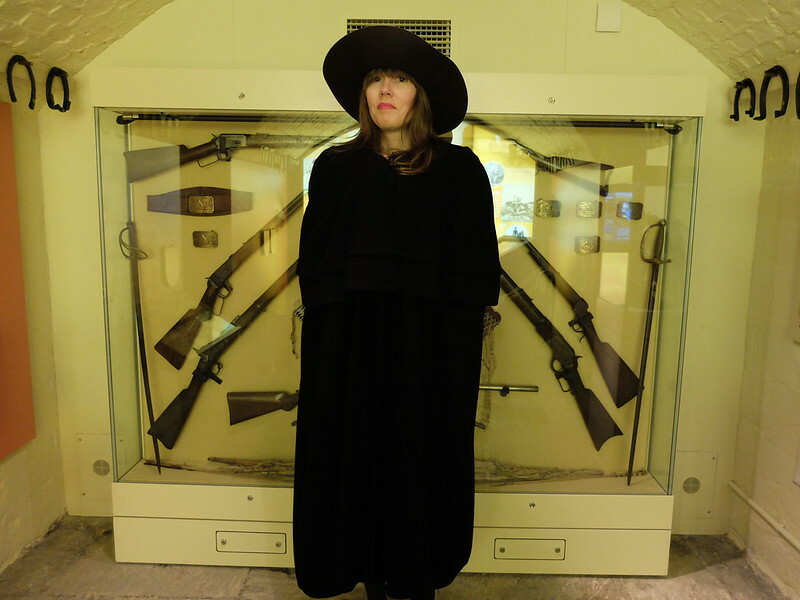 It's not just exhibits, there are rooms done out in period style and there's even a dressing up opportunity. 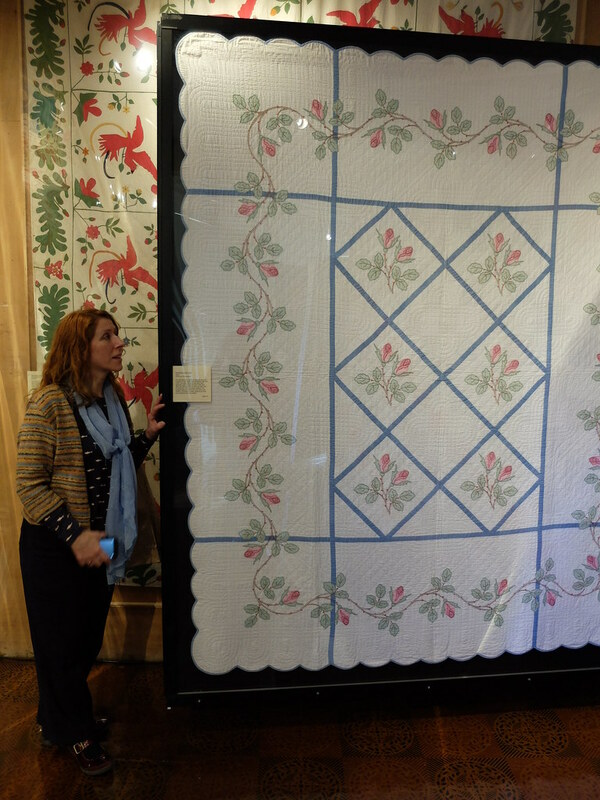 The collection of quilts in the main house is one of the finest in the world and is well worth a look. Also running until November is an exhibition of modern photographs of Native Americans by Heidi Luaghton, which was incredibly thought-provoking and had images of the most luminescent quality. Facilities include an excellent cafe, where I broke my low carb lifestyle to sample the cheese scones, which were utterly scrumptious. There's plenty for families, with lots of grounds to explore and a handy picnic area, with some tables under cover (they might be American but they're obviously well acquainted with the British weather!). On our visit we saw a rabbit and some deer in the grounds, and some interesting garden features. It's going to look glorious in another month when the blossom's out! 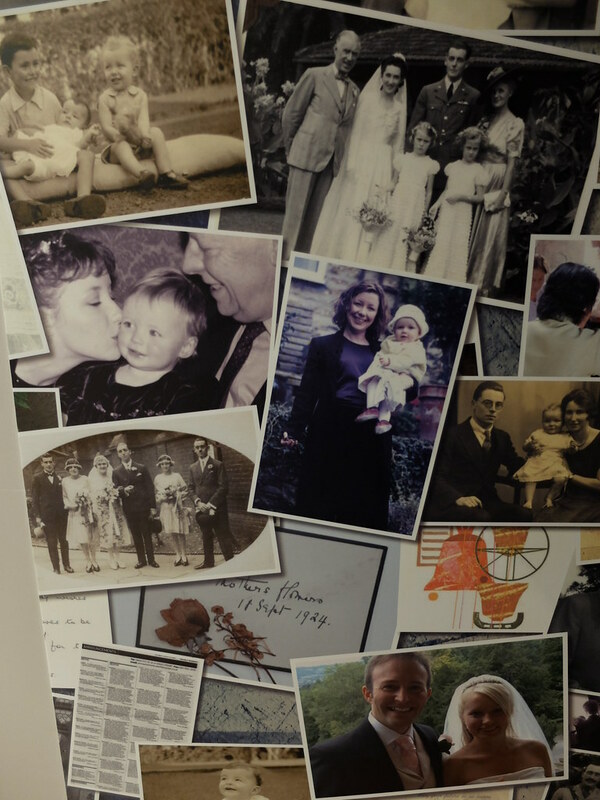 Top tips: Surprise a relative by emailing a photo of them in their christening or wedding gown to the museum before your trip - the museum will print it out and attach it to the family tree! Also, there's a free shuttle bus that runs out to the museum from Bath city centre. Have you been to this museum? 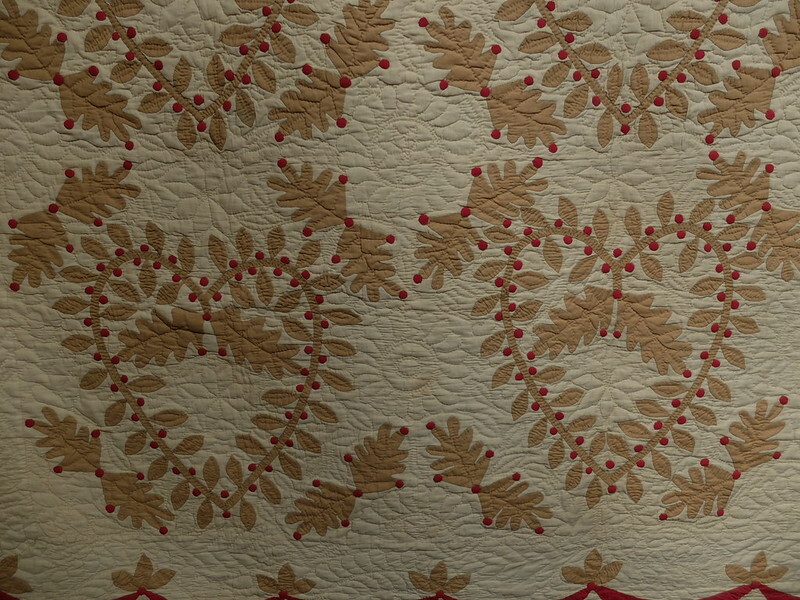 Are you interested in textiles and quilting? Hatched, Matched, Dispatched & Patched runs until 1st November 2015. 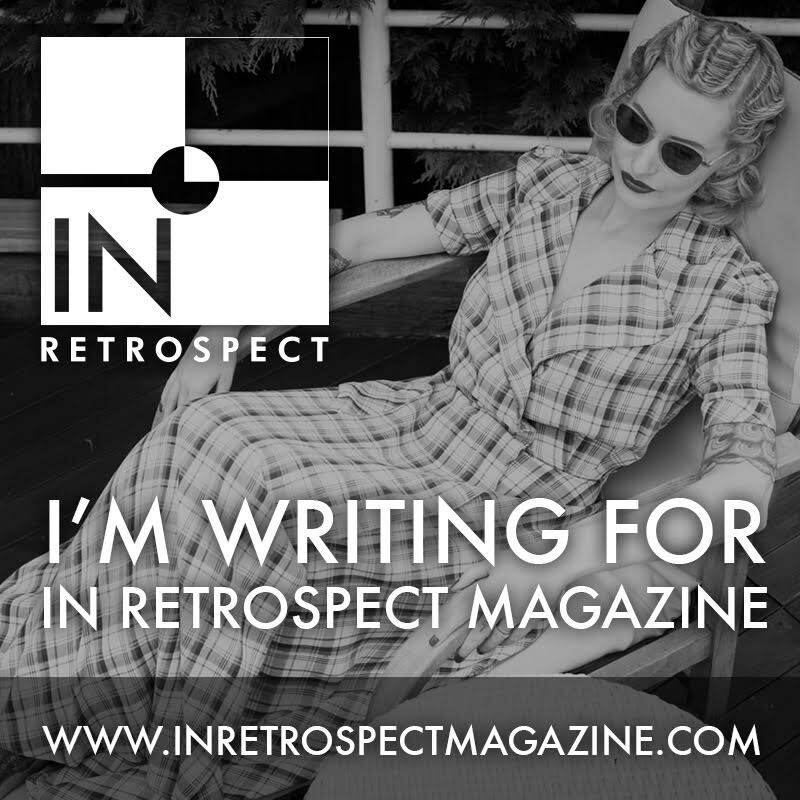 I was asked to preview the collection for review purposes. That daffodil dress is amazing. How long must the embroidery have taken?! Do you know why the bride didn't get to wear it. 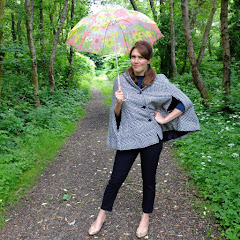 Oh Mim, it was tragic - the bride went on a European tour, caught flu and died of it!! Good to hear there is now a shuttle bus. When I went to the Marilyn exhibition I had to catch a bus to the university campus and walk the rest of the way, which was fine on a glorious summer day, but I wouldn't fancy it in the dark/rain/cold. I thoroughly enjoyed my day there it's a great place to just wander about. At lunchtime I ended up sharing a table in the garden with an elderly couple on a day trip from Wales, in that way of the world it turned out the husband was born in the next village to where I now live so we had a lovely chat about that. Small world indeed! I love small world stuff like that!! How funny. I'm planning another Bath visit soon so this is on the list! It looks amazing! What a cool museum. 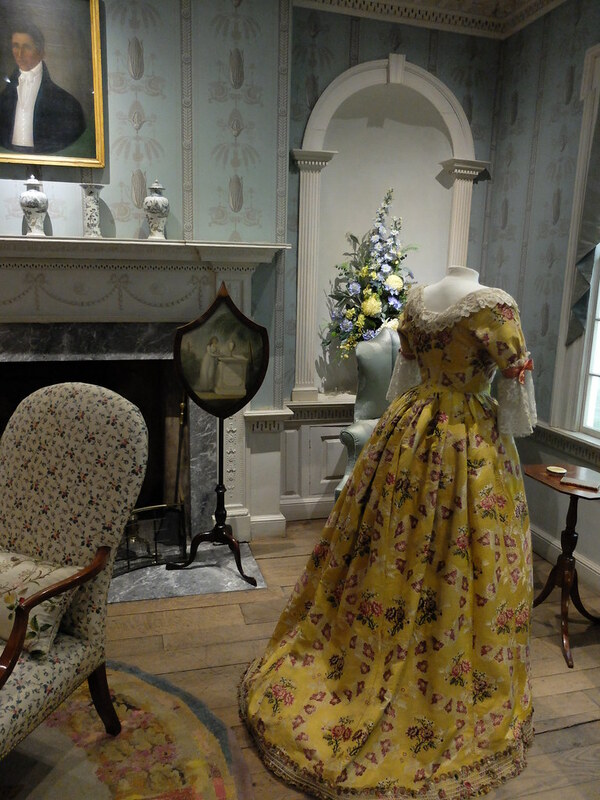 I always love seeing period clothes - and that yellow day dress is just gorgeous! Isn't it just Spring in a dress?! Such fabulous detail. I really fancied this but the day my invite for is immediately after a 13 hour working day and Jon isn't tempted with the long drive. That jewellery made out of human hair is kind of gross. I wonder was it made from the deceased? That looks so interesting! I love to learn more about historical fashions and textiles, so this would be so far up my alley it's practically in my living room. That daffodil dress is so pretty, but poor bride! Do you know why she didn't get to wear it? I'm sure that's an interesting story. I love the "puzzle" dress as well. 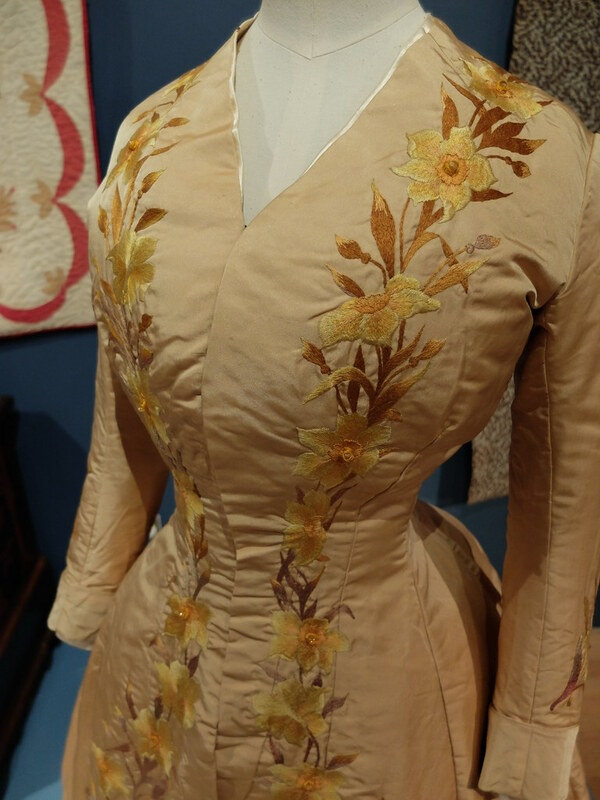 I'm not as familiar with details from the fashions of that part of the century, but I would tend to agree with the woman from the museum - it does look very art nouveau to me, with the Mucha-esque floral scrolling. Either way, it's gorgeous. Oooo I love a good museum, when I finally get my first car I might need a road trip! This truly has to be one the most well thought out, appealing historical fashion exhibits of all-time. The more I see and hear about it, the more I truly wish I could hope across the pond and visit. I love small town living for a lot of reasons, but the lack of big museums and the possibility of world class exhibits at them like this is certainly something I pine for from my days of being a city gal. Thank you for the stellar armchair trip there. I sincerely enjoyed and appreciate it!